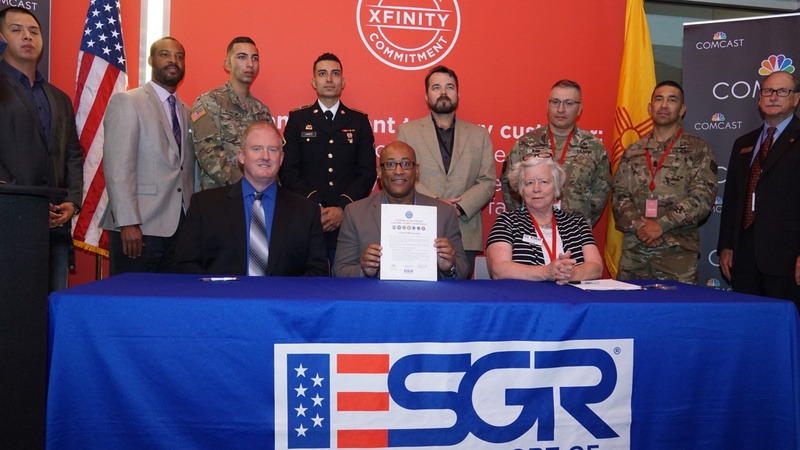 To show the company’s commitment to the New Mexico military community and National Guard and Reserve components, Comcast officials signed the Employer Support of the Guard and Reserve (ESGR) Statement of Support on June 16 at the Comcast Bilingual Center of Excellence in Albuquerque. The signing ceremony is part of Comcast’s nationwide goal to add 10,000 veterans and members of the military community to our workforce by the end of 2017. The ceremony included remarks from New Mexico National Guard Assistant Adjutant General, Brigadier General Kenneth Nava; leaders from the New Mexico National Guard and local reserve units; Comcast Veterans Network employees; Comcast NBCUniversal Senior Vice President for Military and Veteran Affairs, U.S. Army Brigadier General (Ret.) Carol Eggert; and members of the Comcast New Mexico senior leadership team. Attendees also heard from Juan Lares, Comcast customer experience representative and Private First Class, Army National Guard. 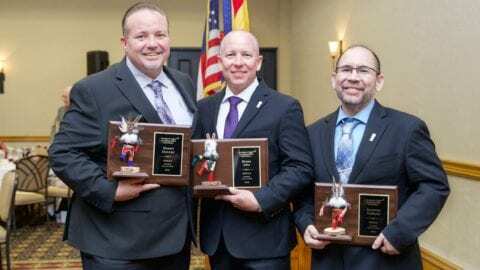 In an effort to further engage with the New Mexico military community, Carol Eggert provided the keynote address at the Albuquerque Chamber of Commerce Armed Forces Banquet the following evening. Carol shared how she’s built a military and veterans affairs team from the ground up at Comcast, and offered advice to other businesses on how they can best support members of the military community. She also highlighted the diverse, highly educated and dedicated talent pool employers can tap into by hiring from the military community. 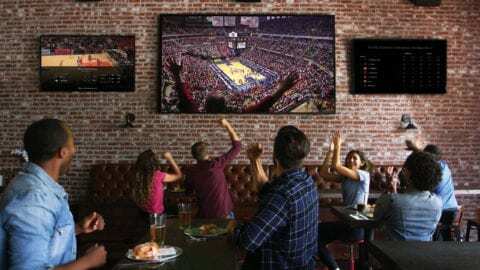 Comcast is hiring New Mexico military veterans, active National Guard and Reserve members and military spouses in jobs ranging in responsibilities and departments, including sales, technical operations, customer service and administrative support. Comcast provides additional benefits for employee members of the National Guard and Reserve, such as additional paid time off for military training, and pay differential and continuation of benefits when recalled to active duty. To learn more and to view open positions visit http://corporate.comcast.com/military, or follow on Twitter at @ComcastMilitary.